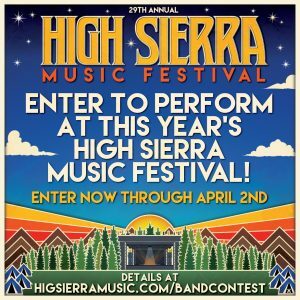 High Sierra is excited to work with Clean Vibes, a company formed and dedicated to responsible on-site waste management of outdoor festivals and events. Clean Vibes will be onsite helping to ensure that we as a community recycle as much of the waste produced on site as possible. 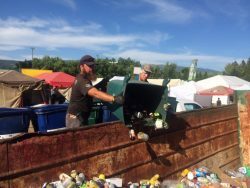 With the help of the festival goers, Clean Vibes will divert tens of thousands of pounds of recyclables from the landfill. In order for Clean Vibes to do the best possible job, they need your help! When arriving, each vehicle will be given two bags: one for trash and one for recycling. Any glass, aluminum and plastic beverage containers can be recycled. 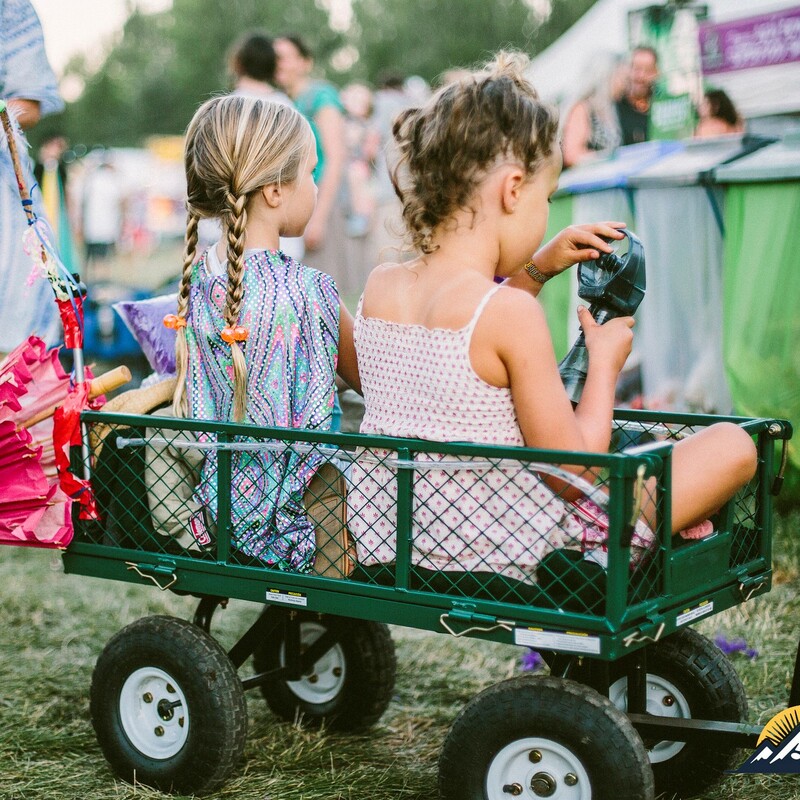 You can carry your bags to the nearest dumpster or collection station, and use the collection stations around the venue which will be regularly maintained by Clean Vibes volunteers and staff. 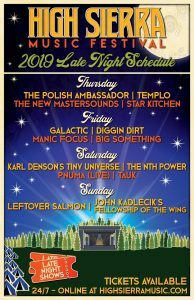 You can also help Clean Vibes sweep the concert field at the conclusion of each night’s shows on the Grandstand and Big Meadow Stages. Think before you throw – and the material in the recycling dumpster will be spared from the landfill! While enjoying this beautiful site, please help Clean Vibes cultivate cleanliness and ensure that we as a community leave nothing but footprints this weekend. More information will be available in the High Sierra program guide, and you can also visit the Clean Vibes website. Interested in volunteering with Clean Vibes? 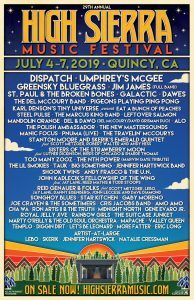 Clean Vibes is always looking for folks who are interested in volunteering during and after the festival. 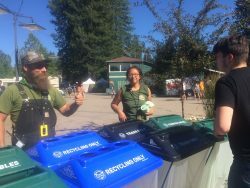 Volunteers are needed during the festival to help service the collection containers throughout the site, keep the grounds clean, and sort recycling. Volunteers are also needed for the post event cleanup – working on the Monday and Tuesday after the event to help ensure that we leave the fairgrounds cleaner than we found it. More info here. 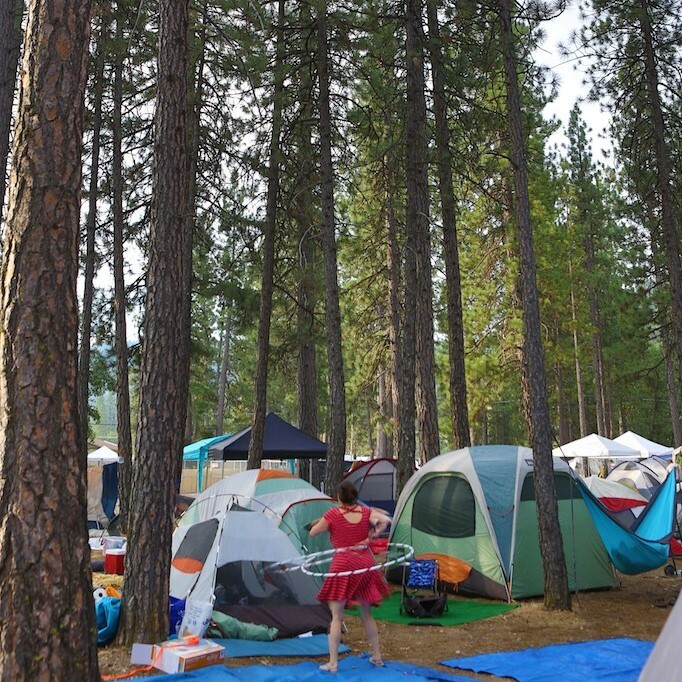 With thousands of people camping on the fairgrounds, it is vitally important for HSMF fans to embrace the “Leave No Trace” camping philosophy. 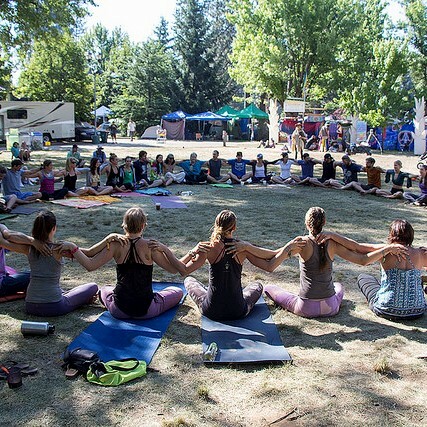 The Leave No Trace Center for Outdoor Ethics has put together some tips on greening your campsite, available for download here. Since 2007, we have had a composting program, partnering with local Plumas County farmers to keep organic scrap by-products created by our food vendors, caterers, and hospitality staff out of the landfill. 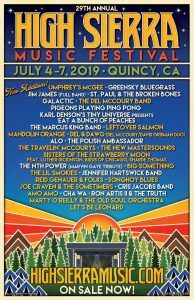 In 2010, with the help of local farmers, the Plumas Rural Services Community Connections program, and Clean Vibes we successfully expanded our composting efforts festival-wide. 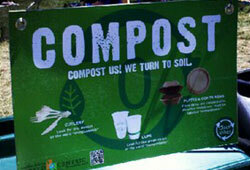 In 2012, we partnered with World Centric to continue expanding our composting operation. Many thanks to World Centric and our friends at Clean Vibes for helping to divert food scraps and compostable products to the Northern Recycling commercial composting facility in Zamora, CA.